Bring your facility quickly and easily up to ADA standards with the Choice Pool lift, an affordable, durable pool lift solution for commercial swimming pools. This pool lift is designed for in ground anchoring and will accommodate many existing anchors by utilizing adapter sleeves, saving time and money. 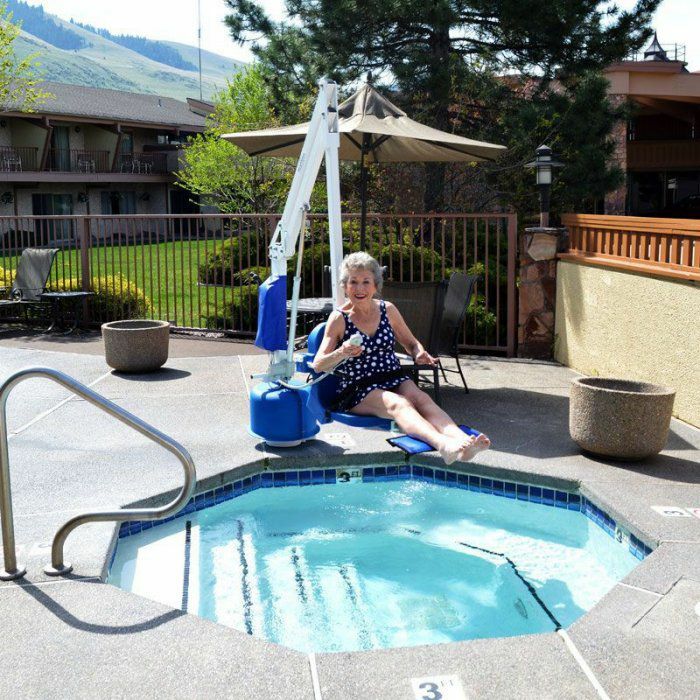 The robust base and stronger actuator gives this ADA pool lift a 375lb weight capacity for affordable ADA compliance in hotel swimming pools and other facilities. The battery operated pool lift features stainless steel construction and powder coat finish to ensure corrosion resistance and durability. The adjustable seat pole allows the lift to be adjusted in four 4" increments from the standard seat height of 18" up to 24", which is helpful for wall clearances. To be ADA compliant your hotel pool needs to be accessible. 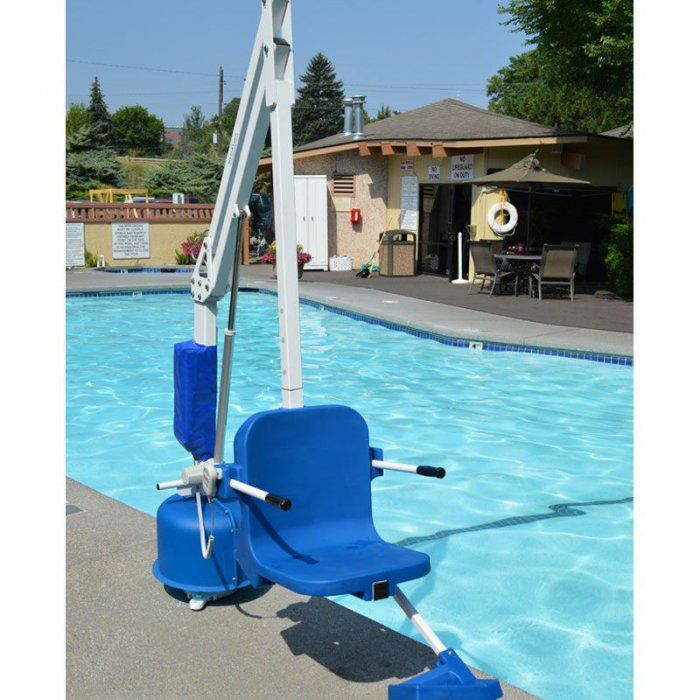 Adding one of the pool lifts for disabled or aging guests will make your facility welcoming to all guests, without a major construction change, saving money and time.